When a natural gas leak was discovered in a rooftop pipe at McDonald’s restaurant in Fort Atkinson, the business had to temporarily shut down Wednesday afternoon. 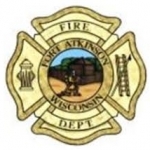 The Fort Atkinson Fire Department received a call about the smell of gas in the 200 block of North Main Street at approximately 3:30 p.m. Because of the ongoing construction project there, firefighters responded to McDonald’s first. They found the leak and turned off the gas supply to the restaurant. The restaurant was briefly evacuated, but workers were allowed to return once the gas had been shut off.